The last post I have on the “Bello Nero” Dino was some time ago. I don’t want you to think we’ve been idle at all on this Dino. In fact we’ve been so busy I haven’t had a chance to blog on the progress. So, in an effort to catch you up on what we’ve done, I’m giving you the Reader’s Digest version here. Let me know if you want any further explanation on any part of the process. 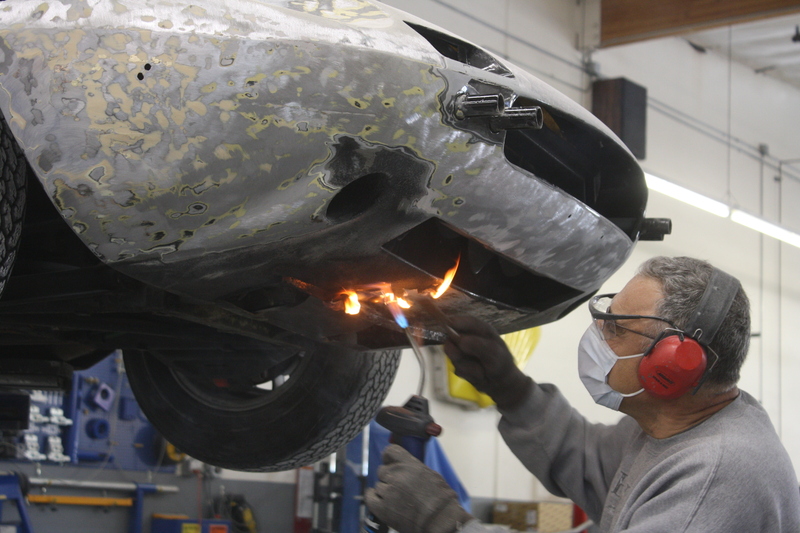 As you know, we began to strip the chassis. 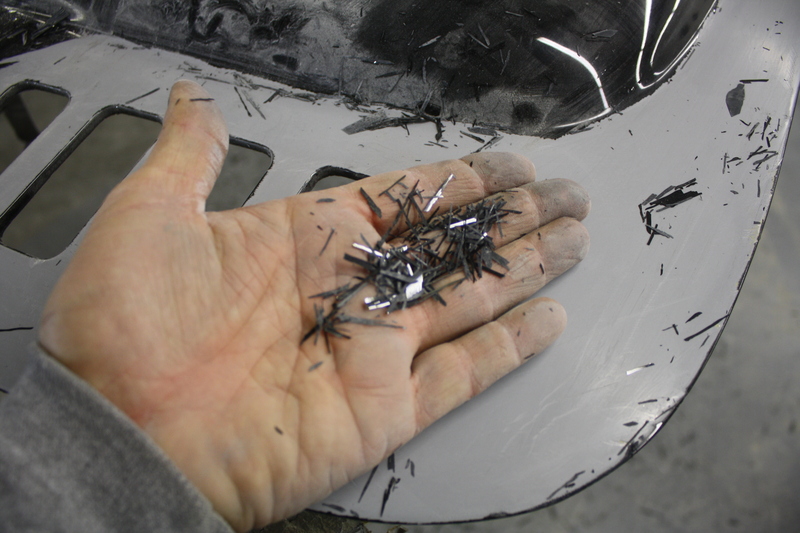 To strip the under nose of the Bello Nero Dino we had to use a bit of flame to soften the paint in order to scrape it off. As you see in these photos it worked great and the end result was a nicely stripped nose. This technique is used when the paint and sub-straights are especially hard to get off. Media blasting is not an option on this job for the simple reason that the client has a smaller budget for disassembly. We only media blast ( walnut or plastic) if the car has been set up on a rotisserie, which involves lots more disassembly. We hand stripped the entire car, which is a laborious job to say the least. Some of it requires us to razor blade the old paint off. It’s a necessary step in order to prepare the car for paint prep and ultimately one of my paint jobs. Now that 90% of the stripping is done, we will wire wheel and begin our metal work, fabrication and rust sheet metal replacement. 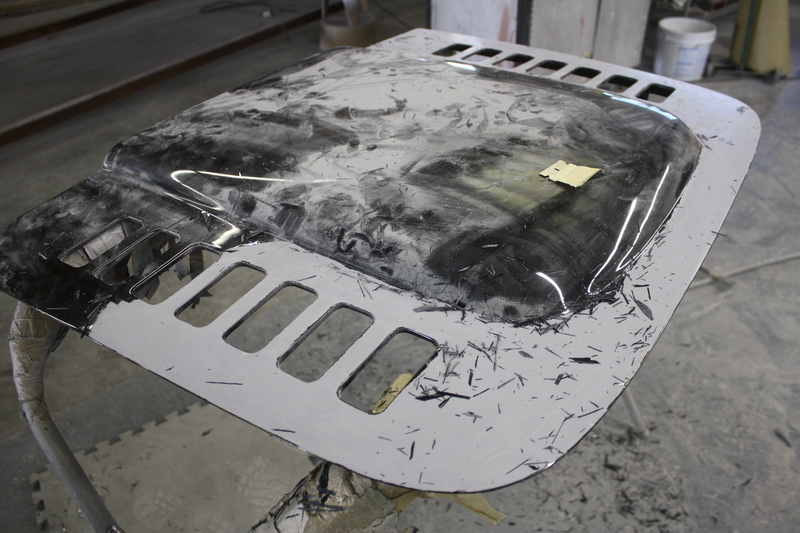 The hood, decklid and engine cover are aluminum. These parts were sent to the blaster to get walnut shelled after we hand stripped the majority of the material off the parts. 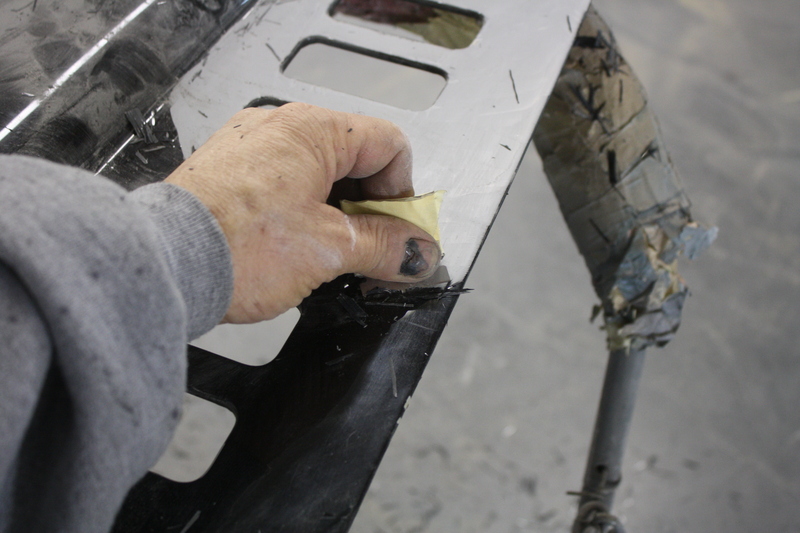 Once all the stripping is completed we seam seal the entire chassis and the doors, deck lid and engine cover. As always, this is an important part of any restoration since it helps to protect against any moisture build up in the seams of the car. 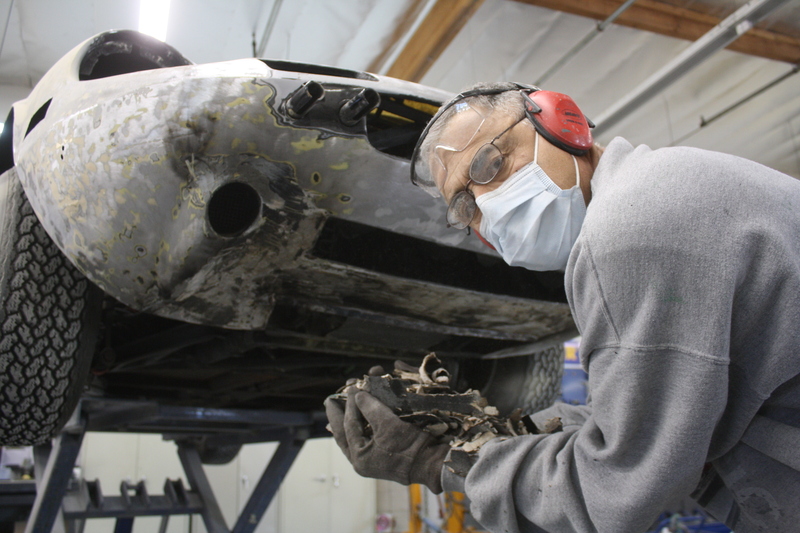 After the seam sealing is completed we prep the car for its first primer and the surfacing then begins.